“The first time I heard his name was Clarence, I had no idea who they were talking about,” said Mark Johnson, president of Citizens Bank in Campbellsville and long-time friend of Wilson’s. Wilson was born in Taylor County on March 14, 1942, son of the late Lucy Kathryn Thomas Wilson and Clarence Edwin Wilson Sr.
As a teenager, he began working for Leland and Willard Caulk, and on July 1, 1986,the Caulks sold their hardware store to Wilson. Johnson first met Wilson at Caulk Hardware, shortly after moving to Taylor County in 1990. Campbellsville mayor Brenda Allen said she knew Wilson for “probably 50 years.” What she remembers most about him was that he knew everybody and everybody loved him. 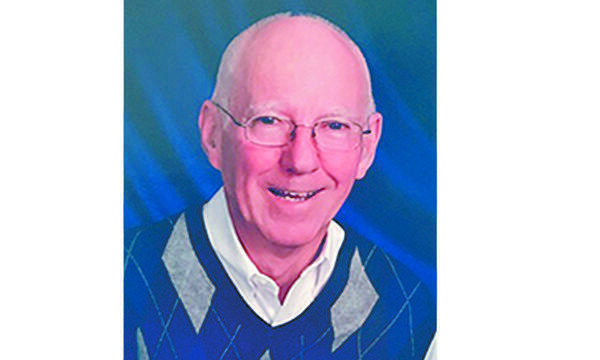 Looking back on all of his memories in Caulk Hardware, Johnson remembered the store as not only a “great hangout” but a place where you could find items that were not readily available anywhere else. In late 2001, the back wall of the hardware store collapsed after a demolition company was tearing down the walls next to Caulk Hardware. Johnson recalled seeing Wilson running out of the store as it was collapsing. After years as a fixture on Main Street, Caulk Hardware was forced to move to a new location on Meader Street shortly after that incident. Wilson owned Caulk Hardware until it closed last April after 87 years in business. In addition to owning the store and being the local Honda motorcycle dealer, Wilson was heavily involved in the community: serving on the board of the Lake Cumberland Area Development District, being a member of the Downtown Business Association, and being honored as Small Business Person of the Year by the Taylor County Chamber of Commerce, among other local interests. He also coached girls’ softballand was a lifelong member of Campbellsville Baptist Church. In his immediate family, Wilson is survived by his wife of 56 years, Ruth Ann; his son, Dr. George Edwin Wilson and his partner, Jacob Bonynge of Winter Park, Florida; and by his daughter, Kathy Ann Wilson of Campbellsville. Wilson’s funeral was this past Sunday at Parrott & Ramsey Funeral Home. He was buried in the Campbellsville Memorial Gardens.